The virtual keyboard is similar to the usual. She appears on the screen, text input is done using the mouse. To enable the virtual keyboard, you must perform several actions. In Windows operating system provided on-screen keyboard for people with disabilities. To do so, click "start" or Windows button, expand all programs menu. In the folder "Standard", select the sub-folder "Special options" and click on "Onscreen keyboard" with the left mouse button. Launch the on-screen keyboard prevents typing with a regular keyboard. To virtual keyboard is not hidden behind Windows of other programs and folders in the application window click on the menu item "Settings" and select by clicking the left mouse button the marker opposite the item "always on Top". Switching of keyboard layout is done using the language bar in the notification area on the taskbar. 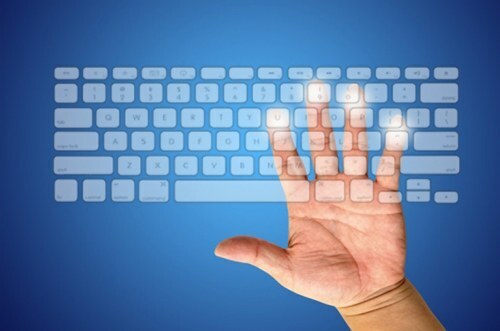 To use the on-screen keyboard can not only people with health problems. If you need to protect yourself from the risk of interception of confidential information by spyware (for example, when entering login and password), you should use the virtual keyboard. Some applications have their own versions of this tool. To enable the virtual keyboard in Kaspersky Internet Security, open the control panel by double-clicking the antivirus icon in the notification area on the taskbar. In the opened window go to "Settings" and click on the "Virtual keyboard". If you have problems entering text with a regular keyboard virtual analogue is also indispensable. Working on the Internet, you can visit the site with free virtual keyboards that support multiple languages. An example is the resource at http://www.keyboard.su. Enter the desired text, copy and paste it into a document or form to answer on any website. Some resources include a virtual keyboard you can, without leaving the page. Look in the window line link "Virtual keyboard" and click it with the left mouse button.